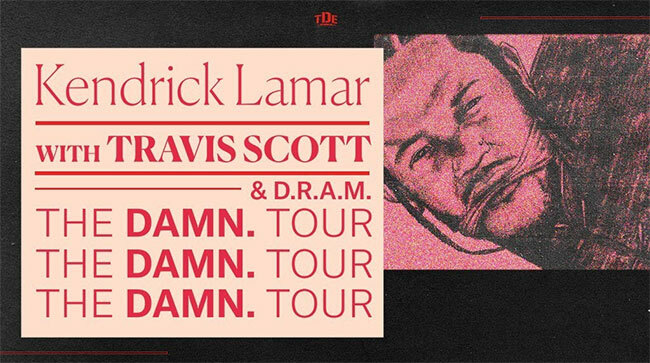 Kendrick Lamar’s The DAMN. Tour is adding new Brooklyn and Los Angeles dates today due to overwhelming demand for the reigning king of hip-hop. The seven-time Grammy-winning artist will return to Barclays Center in Brooklyn, NY on Sunday, July 23rd and STAPLES Center in Los Angeles on Wednesday, August 9th. The highly-anticipated summer tour lifts off July 12th and will end its run with three nights of shows in his hometown of Los Angeles. Fresh off the heels of a packed Coachella appearance, it’s clear that giving awe-inspiring performances is in Lamar’s DNA. His recently released fourth studio album DAMN. continues to receive critical acclaim, after debuting at #1 on the Billboard 200 – his third time taking the top spot. The updated list of tour stops can be found below. Tickets are currently on sale to the general public and can be purchased at ticketmaster.com.